A surprising 20-point performance from Markieff Morris assisted Kyrie Irving's 20-point effort in Boston's opener on Sunday. 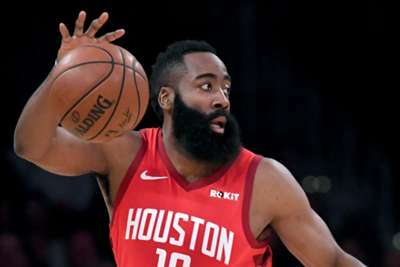 The Portland Trail Blazers took a 1-0 lead in their Western Conference matchup with the Oklahoma City Thunder after winning 104-99. Damian Lillard led all scorers with 30 points, but C. J. McCollum and Enes Kanter also had big games for the Trail Blazers. Eastern Conference top seeds the Milwaukee Bucks saw off the Blake-Griffin less Detroit Pistons 121-86 in game one. The Bucks moved ahead early and stayed there behind a well-rounded scoring attack thanks to Giannis Antetokounmpo's 24 points and 17 rebounds. Portland's McCollum scored 24 points for, only trailing Lillard on the night against Oklahoma City. Luke Kennard scored a team-high 21 points in Detroit's loss to Milwaukee. Myles Turner scored five points on two-of-six shooting for the Pacers. Paul George scored 26 points, but was four-of-15 from deep and had a horrendous first half. Joe Ingles scored three points on one-of-four shooting for the Jazz. Trail Blazers star Lillard showcased why he is one of the NBA's best clutch scorers with a deep three down the stretch. 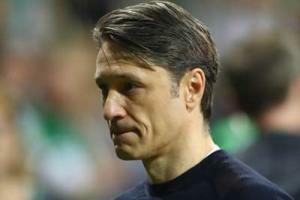 Bayern Munich were awarded a controversial late penalty against Werder Bremen and Niko Kovac was unsure about the decision.